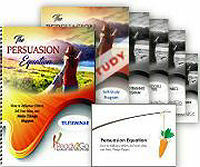 Special Report: The Persuasion Equation - How to Influence Others, Sell Your Ideas, and Make Things Happen! from Ready2Go Marketing Solutions, Inc.
Do you remember the classic movie, Star Wars? Jedi Master Obi Wan is riding shotgun with Luke Skywalker. The Androids, R2-D2 & C-3PO, are on the run from the Empire & decommissioned in the back seat. Suddenly, they run up on a bunch of stormtroopers at a checkpoint in a roguish desert city. The officers stand tall, weapons at the ready, and question Luke. Luke, who’s driving, is about to pull out his license, when Obi Wan leans across him and speaks to the stormtrooper. With a wave from the stormtroopers, Luke drives on into the city to tend to his business. WOW! Wouldn’t it be great to have persuasive abilities like that? Though flexing your influence and persuasion muscles comes in handy in daily life, persuasion is about more than just showing off, getting out of sticky situations, and exerting control over others. 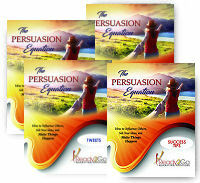 In its highest form, persuasion is a skill that helps you achieve personal success, but also allows you to help others achieve what they want, thus contributing to the greater common good in social situations, at work, and at home. 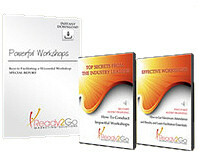 While that level of “mind control” may be reserved for science fiction and fantasy, your clients can have incredible tools of influence, and this Special Report will unlock those secrets that are just waiting to be discovered and used.